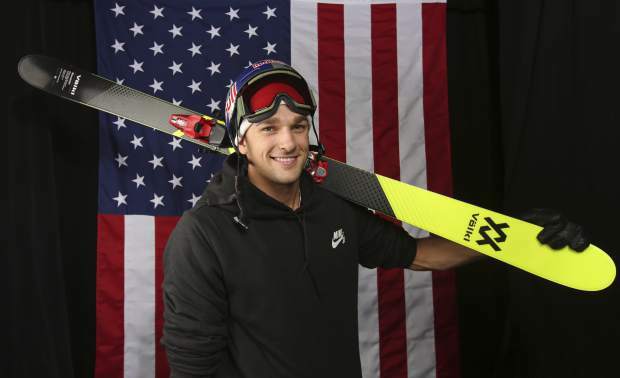 ASPEN, Colo. — In the aftermath of his history-making triumph at the Sochi Olympics — the non-stop parties, the interview on Letterman, the random stops to be adored by strangers — Nick Goepper kept coming back to two questions. The freestyle skier had been given a good chance to win a gold medal in Sochi, but ended up with a bronze, and yet, to the outside, that barely mattered. He was part of history: The Americans swept the first-ever slopestyle contest at the Olympics and became just the third U.S. trio to accomplish that feat at the Winter Olympics. It took the down-home kid from Indiana nearly two years to find a satisfactory answer for either of his questions — two years in which he would roam the country trying to find himself, contemplating suicide, entering a rehab facility, alienating, then winning back, the trust of friends and family, and rediscovering his passion for skiing. Through all that, Goepper also discovered that the Olympic journey was worth it, even if a bronze — or even silver or gold medal — would never, by itself, make him a happier person. Goepper says at the end of the Olympic celebrations he found himself in “a crazy depression,” with zero motivation, “just this weird, sort of nothingness.” He was reeling from what could be called “Post-Olympics Depression” — a not-uncommon phenomenon for Olympians, especially those in sports that draw so little mainstream attention outside the two-week Olympic window every four years. He stayed up late. Drank. Did nothing with his days, or nights. Eventually, Goepper gathered up the energy to go train at the Olympic Training Center in Colorado Springs where things felt like they were getting back on track. So much had happened during the Olympic experience that felt strange and out of his control. For instance, only at the Olympics does the entire concept of winning become so twisted. The late Dale Earnhardt gets credit for the classic saying: “Second place is the first loser.” At the Olympics, though, second place wins a silver medal, and third place is a winner, too, in the form of a bronze. “I was actually gutted for him and felt really bad,” Hanley said. “He was actually happy that he put down the run he wanted to. He seemed content. He had a plan and did what he planned on doing. The cards didn’t fall the way he wanted. “It’s nice and he was very grateful, but what do you say to that? ‘You’re welcome?’ He’s a skier,” Hanley said. And while all the skiers — or make that all besides Goepper and fellow medalists Gus Kenworthy and Joss Christensen — were going back to skiing after the Olympics, Goepper was learning what fame was like. “A whirlwind experience that I really wasn’t ready for,” Goepper called it. Nor was he ready for what would happen when it was over. His mother, Linda, said in an X Games interview that she knew there was trouble when Nick called her and said he was going to down a bottle of vodka at Lambs Canyon in Utah, which is where freestyler skier Speedy Peterson had taken his own life in 2011. Eventually, Goepper’s parents talked him in to going to a rehab center in Texas. After a few weeks of going through the motions at the center, something clicked. He started having conversations, reading more, writing a journal, taking more control of his life and thinking more about throwing himself back into skiing for not only this Olympic cycle, but the next one, as well. He was introduced to Jonny Moseley, the cutting edge, party-hearty freestyle skier of the 1990s, and was surprised with what he learned. Goepper is rocking it in the leadup to the 2018 Olympics. In Korea, he’ll be favored to win some color medal again. If he does, he knows he’ll do things differently this time, though he’s not sure where the journey will take him. And maybe the point of the whole journey is that he doesn’t have to know.